Comments: Geraniums are popular for their wide range of brilliant flower colors and attractive leaves. Treated as annuals in most of the country where they are winter killed. Used as annual bedding plants, in hanging baskets, in pots and in window boxes. They flower during the warm months. However, when daily temperature exceeds 85 degrees F. for many days, flowering will not occur. This happens in the deep south, but flowering will return as temperatures moderate in the fall. 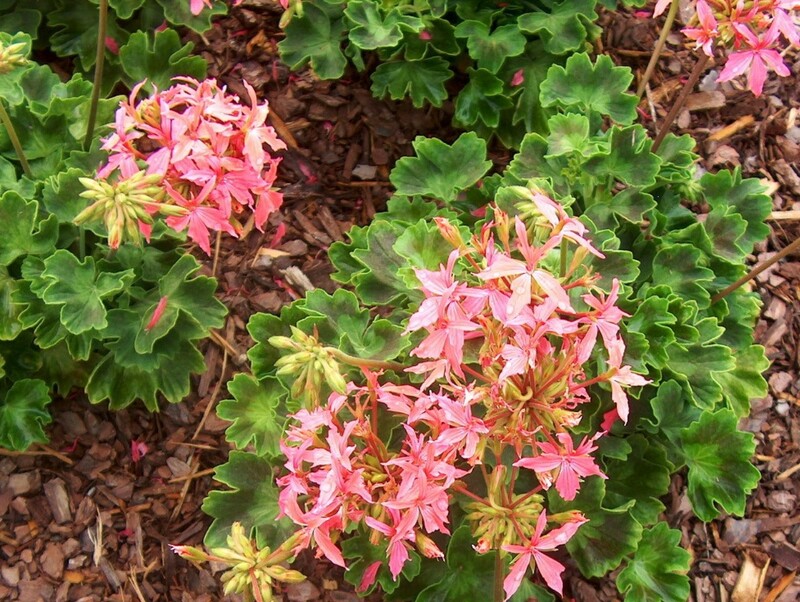 Geraniums like sunlight for a minimum of four hours per day, a well drained, moist, and fertile soil. Bacterial leaf diseases can be a problem.